Over the last month or two I have had the pleasure of being involved in the preparations for a gorgeous girl’s 13th birthday party. It’s rare for me to get so close to the organisation and so naturally I was excited to share each and every part … I’m not sure my Facebook followers for Just Jane Designs were loving it so much by the end! Anyway, now that the party has been and gone I thought I’d share with you the whole thing from start to finish. Categories Children, Currently Working On ..., Handmade, Other, Tips & Inspiration! Baby Shower Invitations … & Tealights! Well, it’s been a very long time since I posted here … so sorry about that! We have been very busy moving house and setting up new internet arrangements, etc. I think all is finally in order and things can return to normal … *crosses fingers*. Hello, and welcome to Just Jane in 2012! 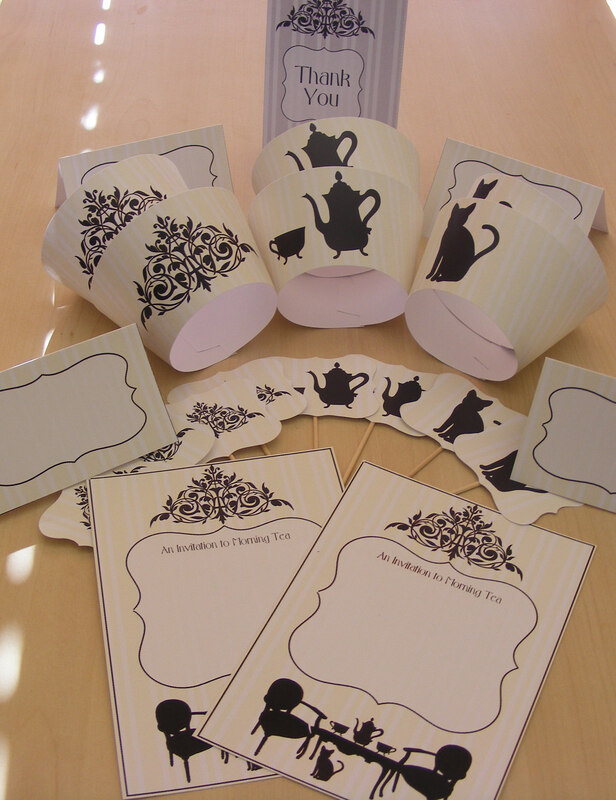 Just a quick post today to direct you to my Just Jane Designs blog for my latest freebie – a party printable set for an elegant morning tea. This freebie will only be available until the end of June 2011 so get it quickly! The files are all in jpeg format and the invitation is blank apart from the header. You can add your own text in a word processing or photo manipulating software package.